The best way to celebrate your birthday, Publix! I now work in Lakeland, a place I have visited all of my life. It was 50 miles down the road when I was growing up, but it was a town my family went to visit often. My great-grandfather was the chair of the Board of Florida Southern College, so our family got invited to College events every now and then. The College hosted the Annual Conference for Florida Methodists for many years and just about every June when I was a child, we would visit Conference for a day, usually sitting in the balcony. I never would have believed I would come to work in the Conference office of the United Methodist Church as the Director of Missional Engagement. But here I am enjoying the short commute from Tampa to Lakeland. As I approach the outskirts of Lakeland, I still remember seeing a couple of things on the highway in those years gone by. One was a sign that used to be on I-4. It read, “Polk county grows more oranges that all of California.” I remember swelling with pride as a young boy and wondering who picked all those oranges. The other was the warehouse where all the Publix Supermarket semis would be backed up loading for their journeys to grocery stores around the state. Be visible. Get out of your office! Talk and listen to your employees. Work along side your employees. Never forget anyone who helped you along the way to business success. Always provide the customer with what she or he wants. Always treat the customer with respect. Be proud of a job well done. Opportunity includes going beyond the call of customer service – going the extra distance to further cement long-term relationships with your customers. 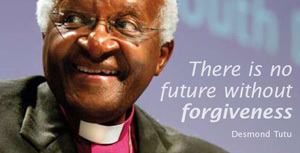 I am grateful for a company that says the “right thing” trumps the bottom line. But I’m worried about Publix’s image. It isn’t translating that into how it treats farmworkers in the field who bring their produce to market or customers who stand in solidarity with those workers. In this week after Labor Day, as we wish Publix a Happy 83rd Birthday, may we also call on them to do the “right thing” and join McDonald’s and Taco Bell and Trader Joe’s in paying just a penny a pound more. 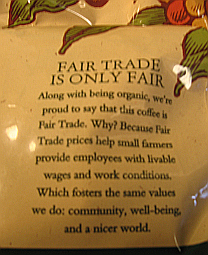 On the label of Publix-brand Fair Trade coffee, it says “Fair Trade prices help small farmers provide employees with livable wages and work conditions.” I like the sentiment. I’m willing to pay a little more to assure that coffee growers who sweat to bring me my morning “wake-up” cup of joe get a fair wage. For those other farmworkers in our state, they deserve livable wages, too. We now work in the same town, Publix. And I am so glad for what Mr. Jenkins said: “Let’s never let making a profit stand in the way of doing the right thing.” And I think a change of heart by current Publix leadership would indeed make my “shopping a pleasure” and your birthday even happier.